THE SKINNY: I really thought I would love this. Lancome makes some pretty awesome stuff. But there was just not enough of the product to sample. 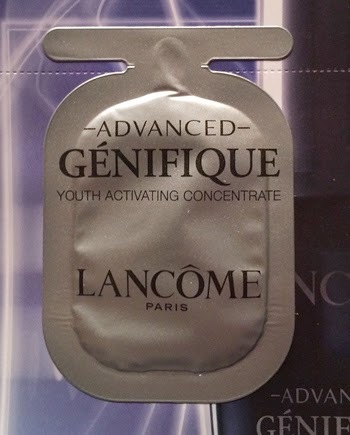 Lancome Advanced Genifique is supposed to create "radiant and smoother skin that you can see and feel." The serum did apply with ease and did not make my skin feel "off" in any way. But I can't vouch for the effectiveness of this product either. Maybe I should have tried to round up seven of the little packets. KEEP OR TOSS: There was not even enough left to keep. CHECK IT OUT: You can find Lancome Advanced Genifique at department stores and online.